Wiwanitkit, V. (2011). Correlation between Standard Clinical Chemistry and Point of Care Testing Analyzers on Hemoglobin A1C Determination. Iranian Journal of Pathology, 6(1), 51-52. Viroj Wiwanitkit. "Correlation between Standard Clinical Chemistry and Point of Care Testing Analyzers on Hemoglobin A1C Determination". 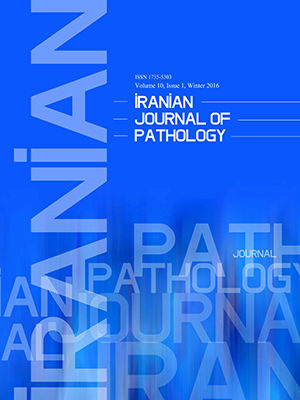 Iranian Journal of Pathology, 6, 1, 2011, 51-52. Wiwanitkit, V. (2011). 'Correlation between Standard Clinical Chemistry and Point of Care Testing Analyzers on Hemoglobin A1C Determination', Iranian Journal of Pathology, 6(1), pp. 51-52. Wiwanitkit, V. Correlation between Standard Clinical Chemistry and Point of Care Testing Analyzers on Hemoglobin A1C Determination. Iranian Journal of Pathology, 2011; 6(1): 51-52.